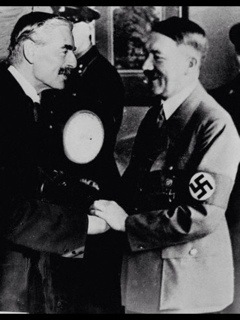 Forgive the crass comparison but not since Neville Chamberlain shook hands with Adolf Hitler has a handshake (or rather a non-handshake) been so forensically dissected. 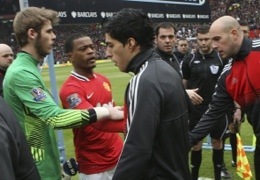 Of course the rivalry between Liverpool and Manchester United in 2012 may not match that of Britain and Nazi Germany in 1938 but there doesn’t seem to be much prospect of “peace in our time” between Louis Suarez and Patrice Evra. And the tardy apology issued by the Uruguayan and his boss Kenny Dalglish has been about as passifying as the piece of paper the Prime Minister famously waved on his return from Godesberg. So what went wrong? The problem can’t have been quantitative – these days the public relations squad at major football clubs is almost as big as the playing squad. Perhaps, then, it was qualitative – poor advice. I suspect it was neither; that the guidance given was both abundant and accurate but simply ignored. Players and managers paid £100k plus per week are unlikely to value the wisdom of those lucky to see half that much in a year. The solution? Either put PR staff on the same salary as footballers (owners like John Henry and the Glazer family please note) or make following professional advice a contractual obligation. Rule number one in crisis communications: apologise immediately. Rule number two: make sure the images the public see convey the same, contrite message. Liverpool and Suarez broke both.